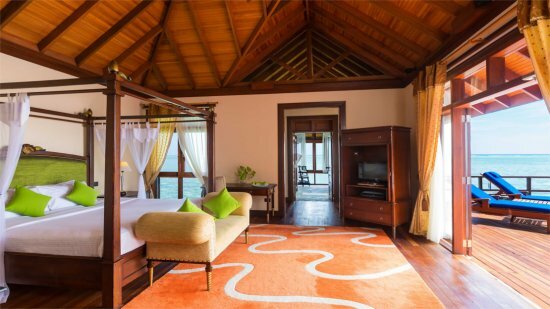 Graced with a picture postcard appeal that's pure tropical indulgence, the beautiful Olhuveli Beach and Spa Resort is a perfect escape for families and couples. Delivering a high-class feel to your long-awaited holiday, this is the place where dreams are lived and memories created. Sit back with cocktails at dusk and watch the most amazing sunsets, relax in decadent beach or lagoon villas surrounded with luxury mod-cons and let the mind and body relax. Extra luxuries await each guest with world-class cuisine, spa services designed and activities that will provide thrills and spills for all of you. 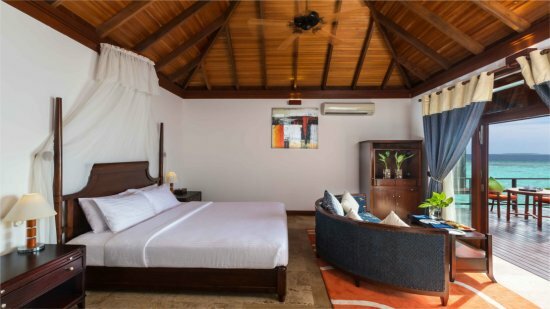 Olhuveli Beach and Spa Resort is positioned on the South Mali Atoll and is an elegant choice for those wanting a luxury getaway at a competitive price. 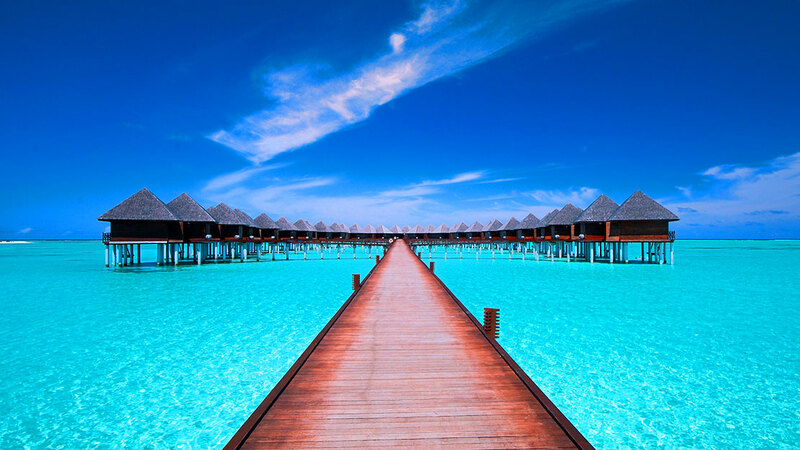 Olhuveli Beach and Spa Resort is surrounded by dazzling white sands and a crystal-clear turquoise lagoon. The island where the Olhuveli Beach Resort is based is a resort within itself with restaurants, bars a spa and all the Maldivian activities you can imagine. You can visit the capital city, Male, within 45-minutes by speedboat. Ibrahim Nasir International Airport in Male is approximately 45-minutes away by speed boat. 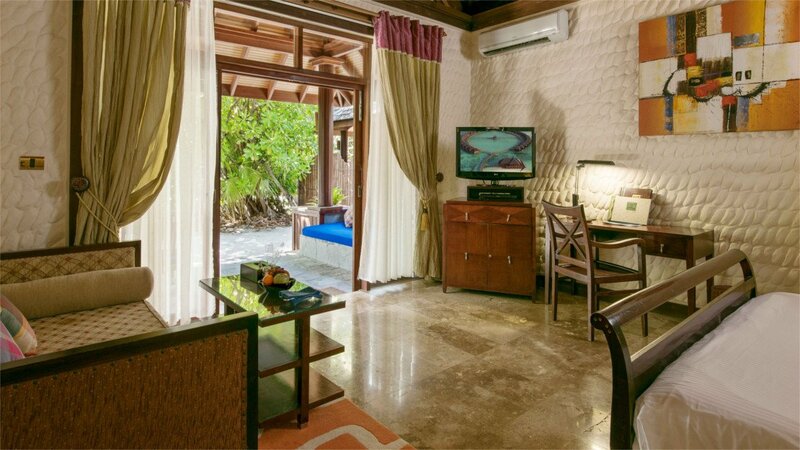 At 50 square metres, these rooms create the starting point for Olhuveli accommodation. Enjoy gorgeous views of the beach and lagoon or resort gardens. Deluxe Plus offers beachfront views and a terrace or balcony. A generous 84 square metres easily caters for 2 adults and 2 children. A lush decor canopied beds, and a bathroom with outdoor rain shower and sala in a private courtyard is a further luxury perk to your stay. A private stretch of beach and lagoon can be enjoyed here. At 64 square metres of space these are ideal for couples /and 1 child. Perched over the azure lagoon, guests can dip in and out of the refreshing water as often they please. Expect an additional privilege if staying in the Jacuzzi villa for it features a private outdoor Jacuzzi on the sundeck and maximises 82 square metres of space. 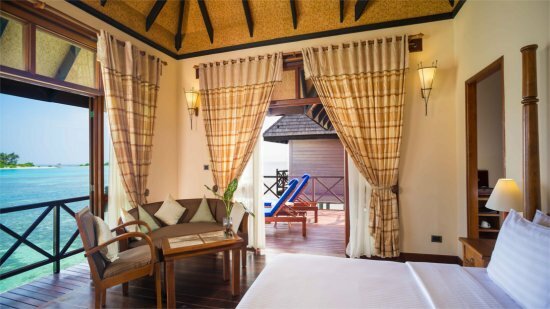 The perfect position for the much loved Maldivian sunsets is aided by these villas ensuring a sight not to be missed! 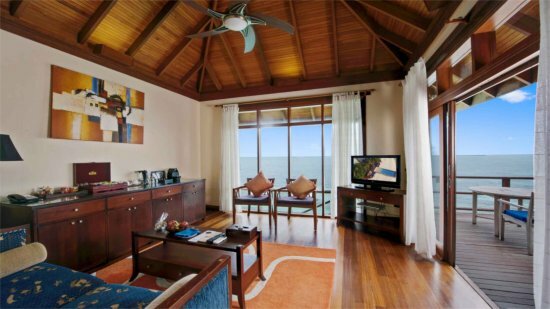 Raising the bar for romantic vacations are these stunning and extremely spacious water villas at 123 square metres. Unobstructed views of the lagoon and beyond aids the ambience which is further enhanced b a private sundeck and Jacuzzi under the stars. The separate living room features a daybed for when for relaxation anytime of the day in cool and contemporary peace. 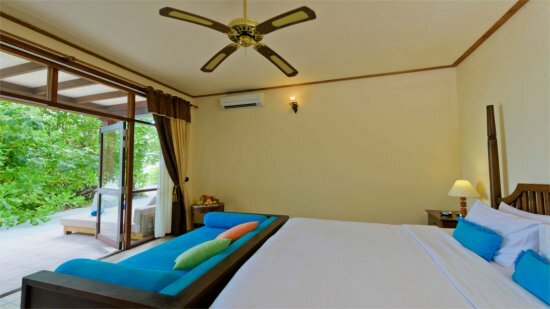 Enjoy the best that Olhveli Beach and Spa Resort has to offer with this beautifully designed villa. 2 bedrooms, a private outdoor infinity pool, Jacuzzi and chaise lounge are some features here along with a full kitchenette and private butler service. The main living and dining area remains separate and the expansive double-level deck has swim-up platforms for dipping in and out of the lagoon with ease. At Olhuveli Beach & Spa Resort, the next best thing to being by the ocean is the symphony of flavours that can be savoured. Relax and let the setting enhance the dining experience with world-class cuisine served throughout the day. Flaming grills, live cooking stations, outstanding wines and a splash of flare brings this international venue alive. With a more calming air, this is where guests can sit back, chat and dine at leisure, right beside the beach. Celebrating fine dining, guests can combine special occasions with perfect wines and Asian delights. Beside the pool, this venue is perfect for casual affairs of delectable lunches and all manner of International favourites. Enjoy the most delicate and fresh seafood cooked to perfection at this stylish venue. The all-inclusive plan is available until 2pm on the day of your departure. Details may be subject to change. You will be provided with full details of the all-inclusive programme on arrival at the hotel.